How It’s New York: IrishAmerican Writers and Artists Inc. was founded in and is mostly active in New York City with members regularly traveling in from New Jersey, Connecticut, and Washington, DC. 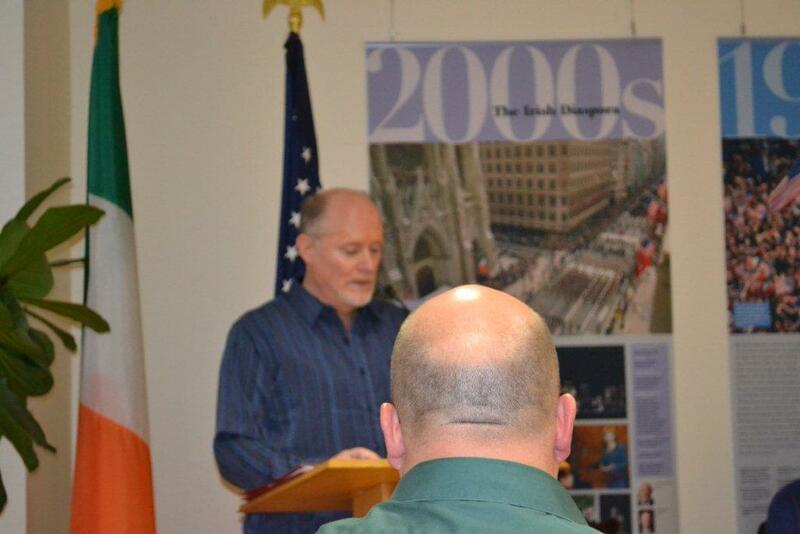 This event was held at the Irish Consulate on Park Avenue. How It’s Irish: It was gathering of Irish-American Writers and Artists and it took place, technically, on Irish soil. This report is a joint project of several NYIA bloggers and IAWA members: John Kearns whose play In the Wilderness just finished its run (read our review here!) and Honor Molloy, author of the terrific novel Smarty Girl (our review here!). Pictures from Kath Callahan. Stay tuned for news of a digital magazine, a Frank McCourt scholarship and Judy Collins as the Eugene O’Neill Lifetime Award Winner. 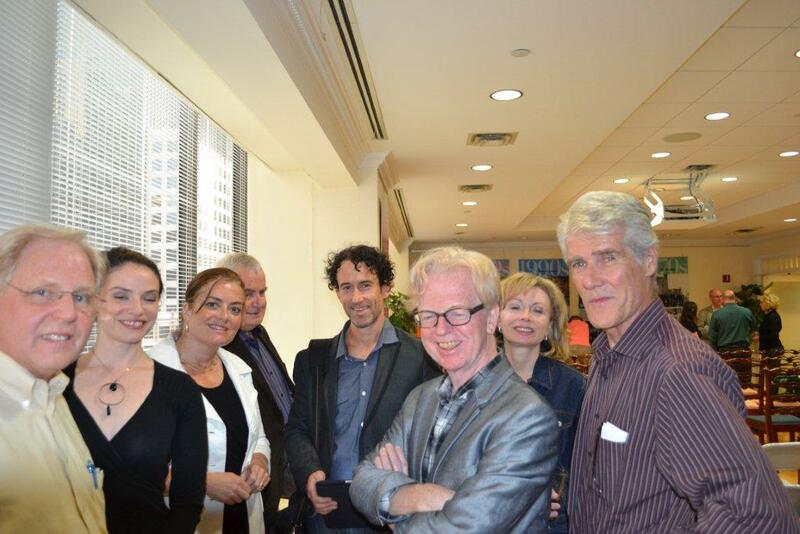 Irish American Writers and Artists Inc. held the annual meeting of its general membership at the Irish Consulate on Tuesday, June 5, 2012. Last year’s general membership meeting is viewed as a galvanizing event that energized the members and made the IAW&A a rapidly advancing organization. So there was a great deal of anticipation and excitement surrounding this year’s meeting. President T.J. English opened the proceedings with a brief presentation on the group’s recent accomplishments, particularly the outstanding success of the IAW&A Salons at the Thalia Café and the Cell Theatre and the IAW&A’s outreach to diverse cultural organizations. Moreover, since last year, the Board of Directors has doubled in size. T.J. asked all of the Board members present to introduce themselves. T.J. also announced that A Couple of Blaguards by Frank and Malachy McCourt will be published by Samuel French. The IAW&A is co-sponsoring the New York-New Belfast event at Fordham’s Lincoln Center on Wednesday, June 13th. This will honor the achievements of IAW&A Board of Advisors member, Pete Hamill. 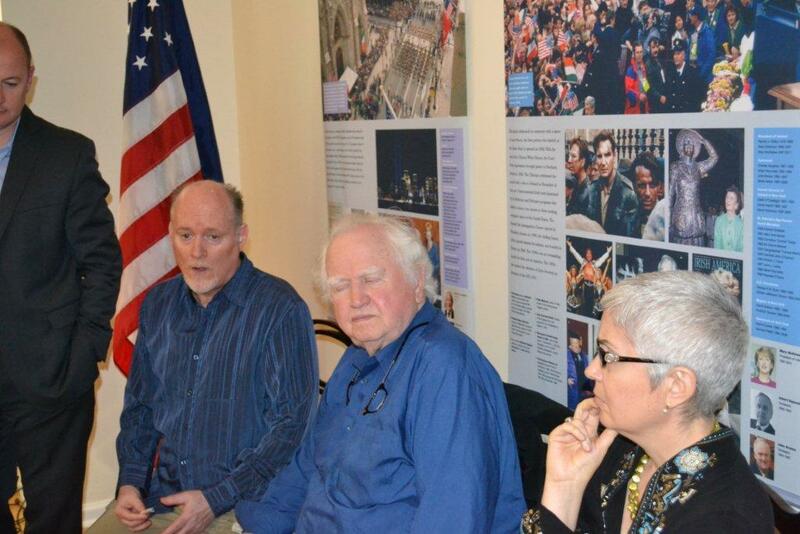 Malachy McCourt and former President Peter Quinn took to the podium in order to announce that Judy Collins will be this year’s selection for the Eugene O’Neill Lifetime Achievement Award. The first musician to win this prestigious award, Malachy recounted his phone call to Judy Collins to see if she would be amenable to accepting this honor. Ms. Collins was so thrilled that she cleared her calendar of all events in order to attend the ceremony on October 15th, the Monday closest to Eugene O’Neill’s birthday. Charles Hale then gave a brief presentation about the Salons, elaborating about the supportive atmosphere they have provided for the presenting artists, and some of the collaborations that have resulted from them, including Hale’s stunning documentary-styled video that features Larry Kirwan’s San Patricio Brigade. This stirring song about the San Patricio regiment whose Irish members deserted the US Army and joined forces with Mexico in 1846. Charles explained that there are plans to take the Salons on the road – to other venues on the Upper East Side, the Lower East Side, Brooklyn, and even other cities. Larry Kirwan offered the prospect of an Irish American Writers and Artists digital magazine, which would showcase the works of members. The magazine will likely include not only poetry and prose but also artwork and music. John Lee and Malachy McCourt laid out the initial plans for the Frank McCourt Scholarship, which will be given to a promising senior attending Frank McCourt High School who has demonstrated achievement in writing. The members then divided themselves up into the committees that included: Membership; Events; Fundraising; Communications; Digital Magazine Development; and the Frank McCourt Scholarship. Former President Peter Quinn and John Kearns were volunteered for the fundraising committee. There were no other volunteers for that group. General open discussion and Q &A between membership and Board and there was a hearty Irish welcome to Cherie Ann Turpin of Washington, DC, who traveled the furthest to join the festivities. The ritual closing song was led by Malachy McCourt, Lord Blaguard of Limerick-town. There were lovely Irish Salmon samitches on brown bread for all. And for all it was a fine night.